Description: Once called the brightest jewel in the English Crown, Barbados inspires visions of the perfect climate, lush tropical rainforests, sunny beaches, and cool comfortable trade winds. 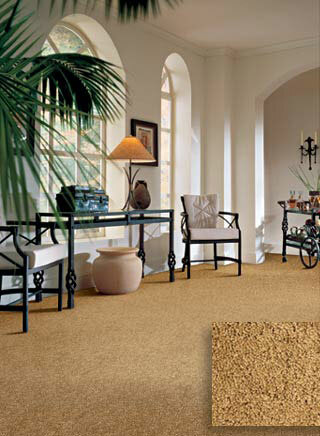 Let your hands feel the construction of the casually elegant, refined textured saxony. Let your eyes drink in the Caribbean flavor of a palette of colors inspired by this exotic paradise. Make Barbados a part of your daily experience. Constructed of 100% DuPont® Stainmaster® Grand Luxura™ w/Optique nylon.